Every second Sunday of every month, we will have live music and a food truck on property from 12:30pm-3:30pm. Since 1981. 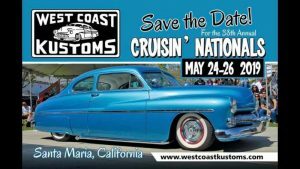 The West Coast Kustoms Cruisin Nationals Car Show will once again invade the City of Santa Maria!! Show is open to Pre-1966 American Vehicles only. Don’t miss the traditionalIf you remember how it was in the nifty fifties, you will recall that it was the West Coast that set the trends, and “Lead” the way in kustomizing. Join us in bringing back those great leadsleds and honoring the many big kustomizers still active on the West Coast. Here is a chance to get that kustom out of the garage, load up the family and join us for some good times. 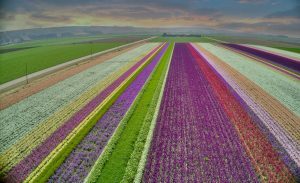 Celebrating Lompoc Valley’s flower growing heritage, the 67th Annual Flower Festival will be held June 26-30, 2019 at Ryon Park in Lompoc, California. The carnival, presented by Paul Maurer, is open all five days!Arts and Craft and Commercial vendors will be available Friday – Sunday. Food Booths will be open all five days. Main stage entertainment with paid admission.